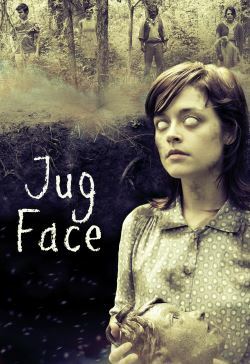 Jug Face tells the story of a pregnant teen trying to escape a backwoods community who discovers that she may be sacrificed to a creature in a pit. The entity in the pit requires a sacrifice for keeping the community safe. The face of the person to be sacrificed is crafted onto a ceramic jug. When ignored, the entity unleashes an unspeakable evil, and violent tragedy befalls the town. The pit wants what it wants.